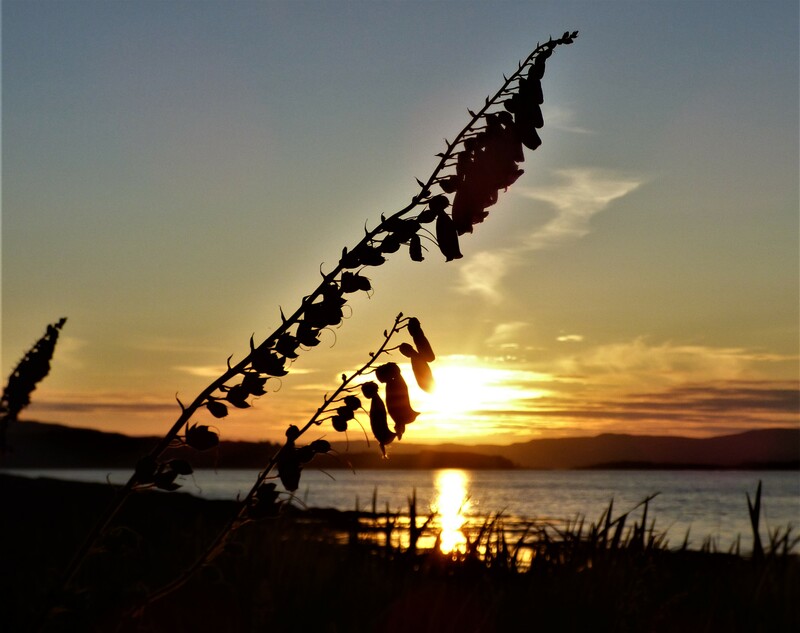 The day dawned cool and sunny, our first stop on the tour was at Aros bay. Lots of widgeon and common gull.Bar tailed godwit, red shank and oyster catcher. At the other end of the bay common seals lolling around on the rocks. 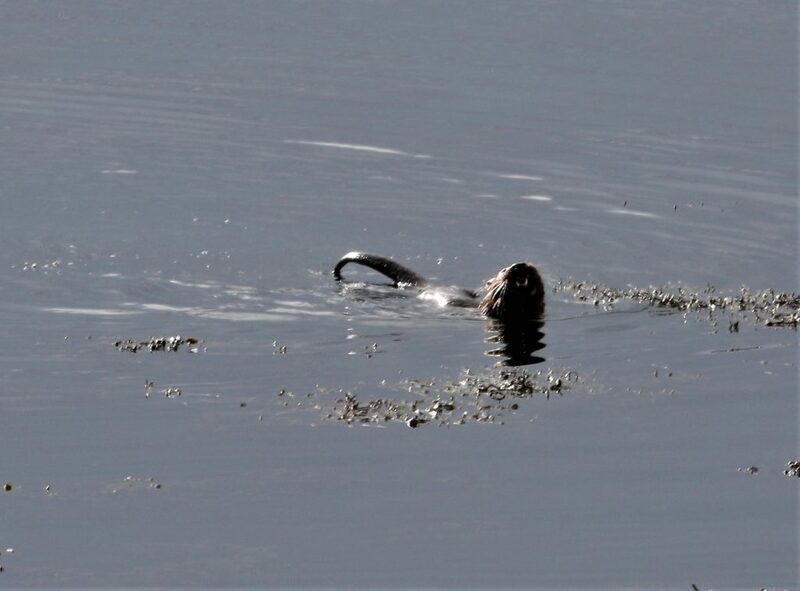 Our day continued with an otter feeding well in the sea. More seals and a good number of great northern divers. no white tailed eagle around near the nest so we carried on. A good view of a white tailed eagle at this nest. a very brief sight by one of my guests of another flying away. Lapwing and buzzard, Oh and I must mention the highland calves. they really are cute. Red deer at our next stop, and a hot drink to warm us up. cold wind but exceptionally clear. Into the hills, the wet weather did come in, so we decided to keep in front. Good decision as we managed to see 8 white tailed eagles flying and interacting together. The rain caught us up and the eagles went below the ridge.what a treat. 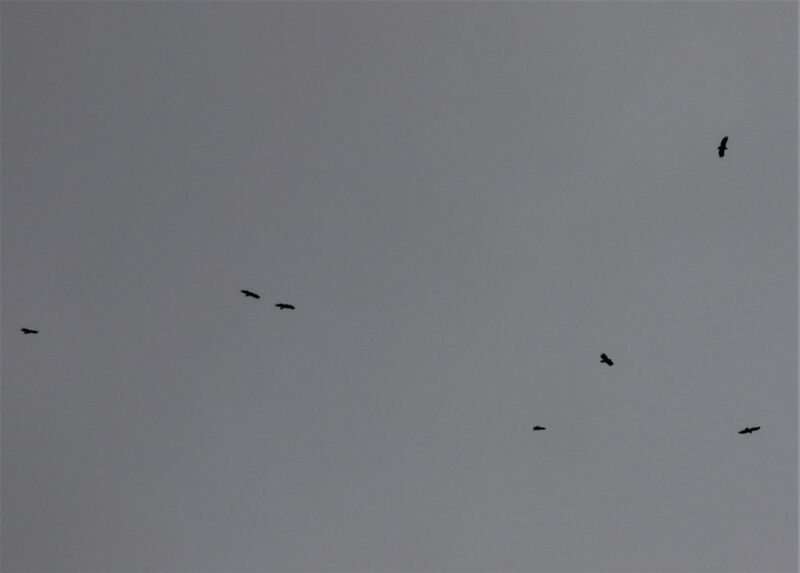 Juvenile white tailed eagles gathering. Off to lunch next to the sea, again lovely views with a couple of golden eagles and a white tailed eagle in the distance. As we drove along a group of redwing and starling. Lots of great northern divers and red breasted merganser. Mike caught up with us on his way home from a job. he headed off to scout for otters. Our return route now red deer on the hillside and another white tailed sea eagle on the nest. its huge yellow bill showing well. One of my favorite views looking West to the Treshnish isles. again excellent visibility. the houses on Iona seemed very close. home run now, mike joined us for cuppa and cake. nest stop a very brief view of a mum and cub otter and common seals. We passed Mike and went to look for the golden eagle at the aerie. 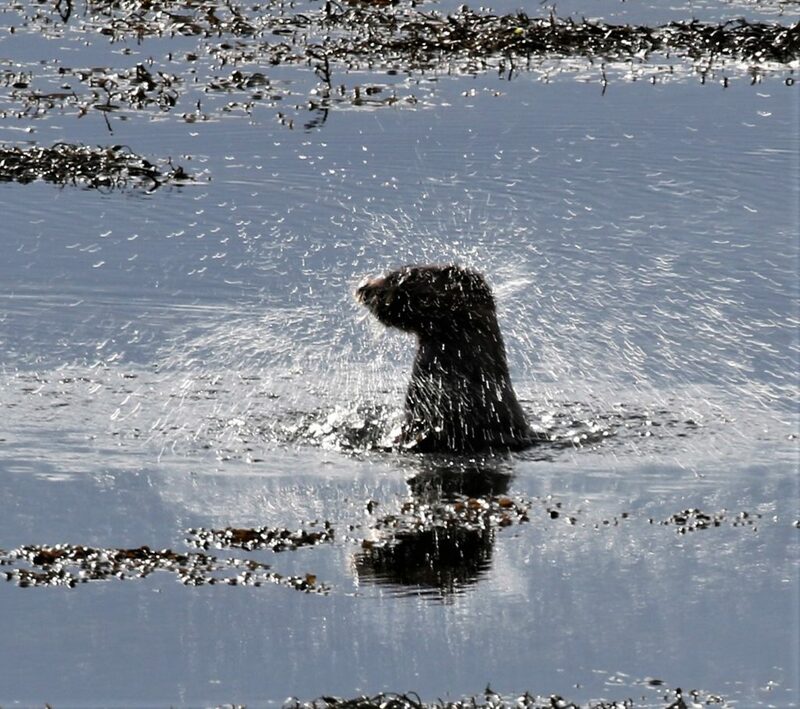 we had just got out of the bus when Mike phoned to say he had an otter close to shore. All back in and went to enjoy the otters company for some time. At least no one needed to rush back! Happy and tired we headed back to Tobermory. one last treat of a golden eagle flying right over us. great day.